The best backpacker hostel in Durban? While we don't know for sure that it's the best, we can't figure why you would need anything better. 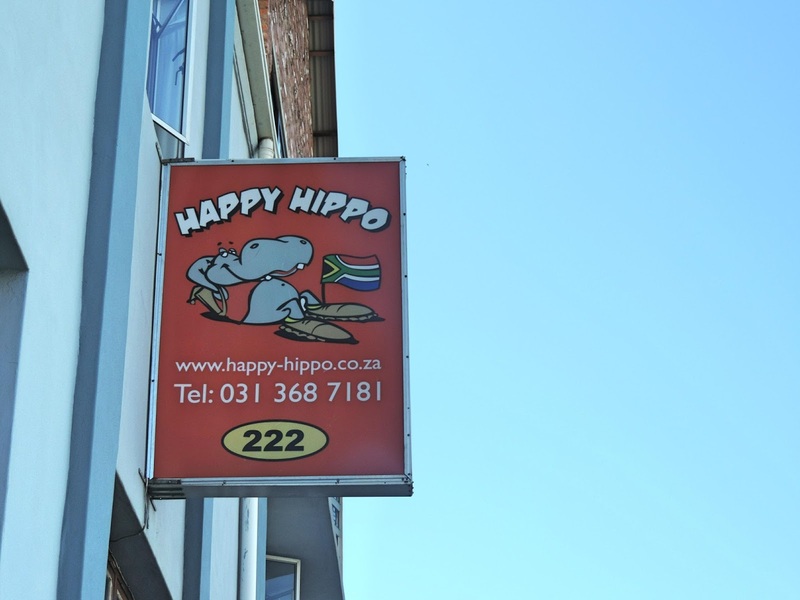 We recently spent two nights at The Happy Hippo in Durban. Great location, and comfortable surroundings. Oh, and two nights in Durban isn't long enough! We drove into the city in our own car and didn't have any problem finding the place. It's located in the old harbor area of Durban, which is slowly becoming the place to be. Also, it's right behind the popular uShaka Marine World and Waterpark and only a short walk to the beach itself. Hostels have come a long way. I remember the days when staying in a hostel meant that you were sleeping in a bunk bed in a room with at least a dozen other people, trying to get some shuteye while the snoring reverberates through the night. Well you can still sign up for that experience, but you can also get a small private room for a decent price. That's what we always look for, and The Happy Hippo in Durban offers exactly that. We opted for their top of the line double room with ensuite bathroom. 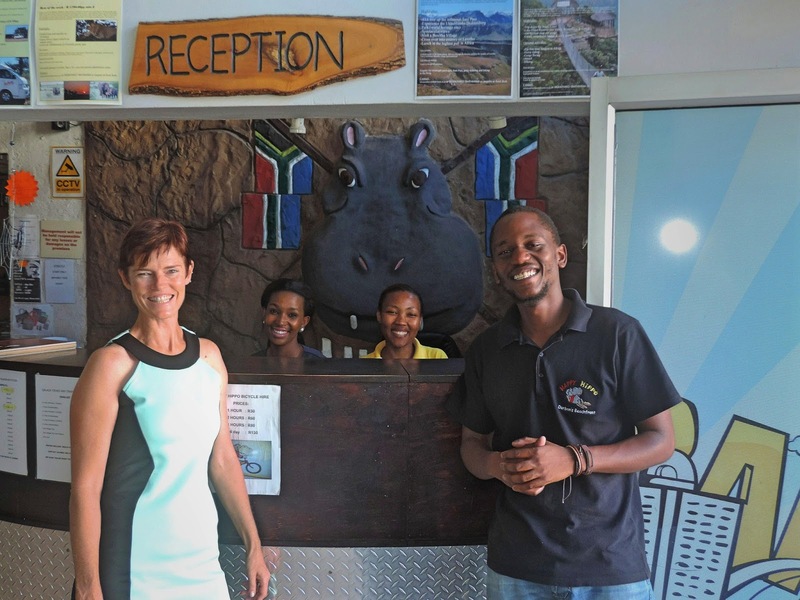 Dorms, Singles, Doubles, Twins, Triples and Doubles with en suites - the Happy Hippo Backpackers Lodge has it all. 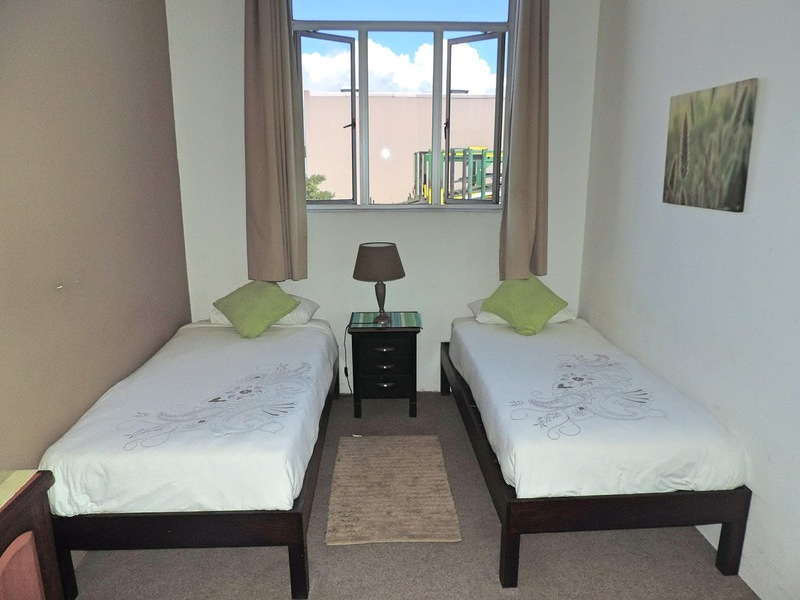 Prices range from R150 ($15.75) for a single person in a dorm to R500 ($52.50) for a couple in a private room with bathroom. An example of a smaller twin room. 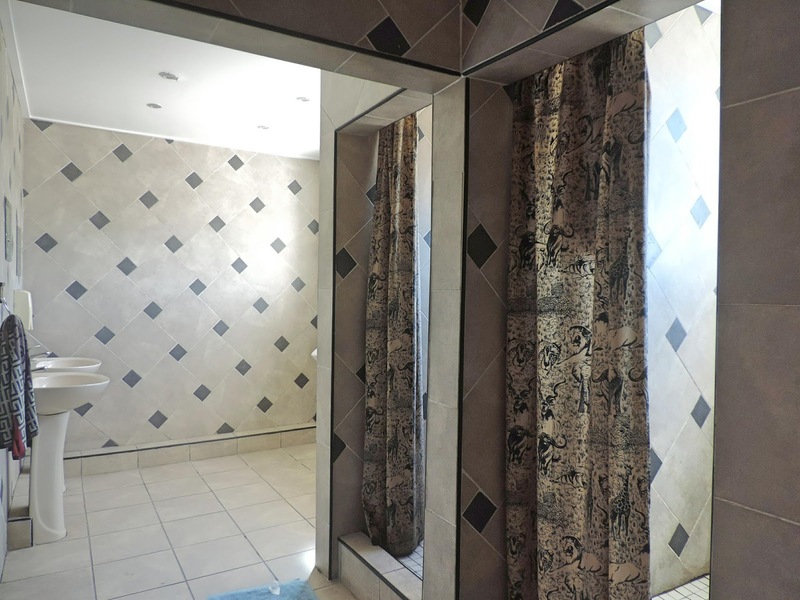 If you choose a room without a private bathroom, you don't need to worry. Because the public bathroom and shower is large and clean! Group bathrooms and nice showers. They have a large common area with lots of comfortable seating. And a bright, open, airy kitchen for making your own meals to save money! Cheap drinks, and a game of pool? Or catch some sun on the outdoor rooftop patio! We can't find anything wrong with The Happy Hippo. We found that the people who run the place were helpful and cheerful, and always had a smile. Michelle, Nomfundo, Portia, and Bongani. In fact, we were totally happy with our stay at the Happy Hippo! Looks clean and like a fun place to stay. Safe travels! It was very clean and very friendly, we wouldn't hesitate to recommend it!